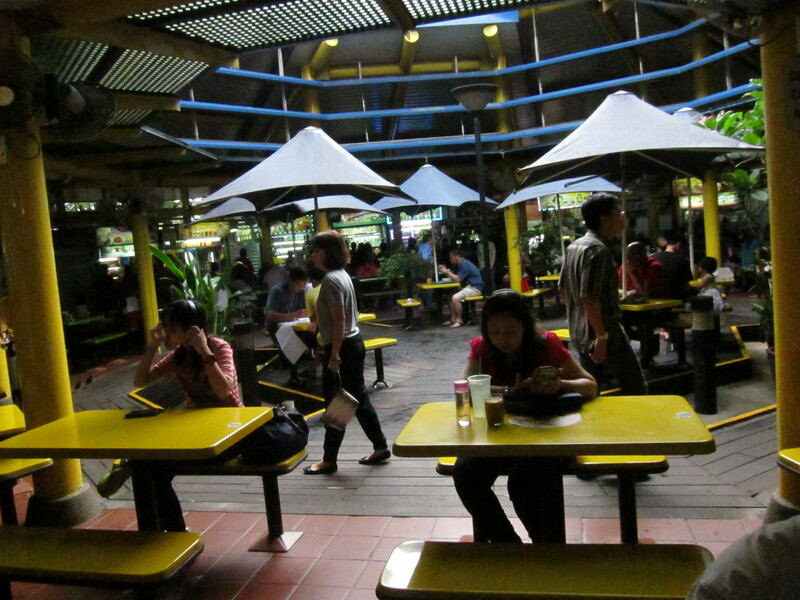 Adam Road Food Centre, near a leafy stretch of Singapore filled with mansions and expats, is a cozy hawker center that offers a cornucopia of Malay dishes. 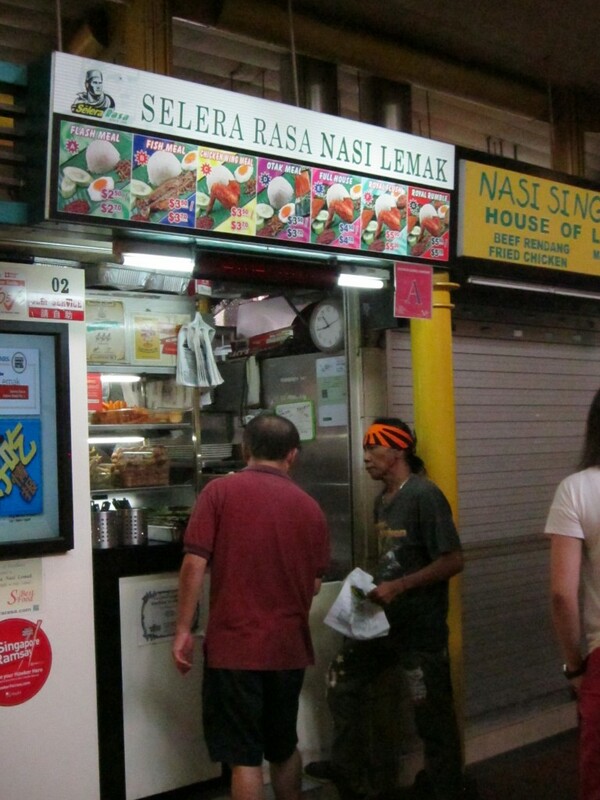 In this circular structure, it’s not hard to find Selera Rasa. 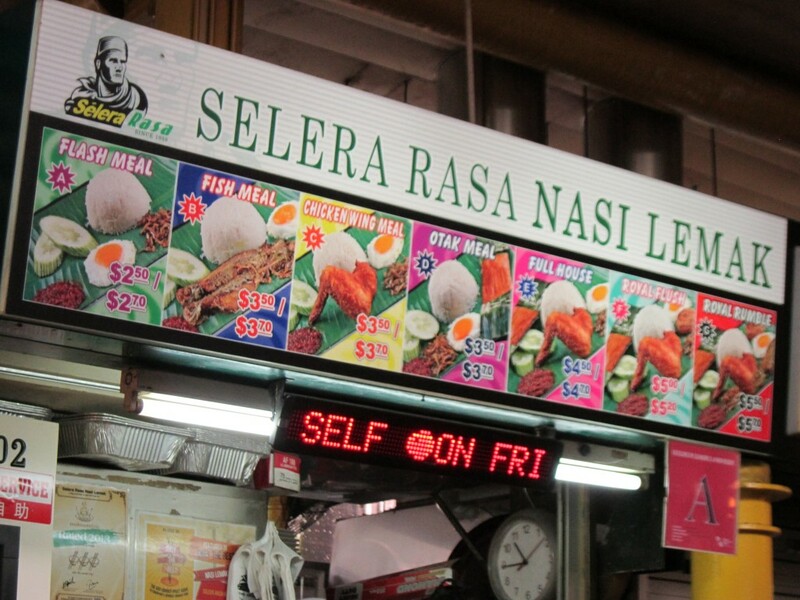 As Seetoh said, look for the long queue. When we arrived late on a Sunday morning, there were about 25 people in line. 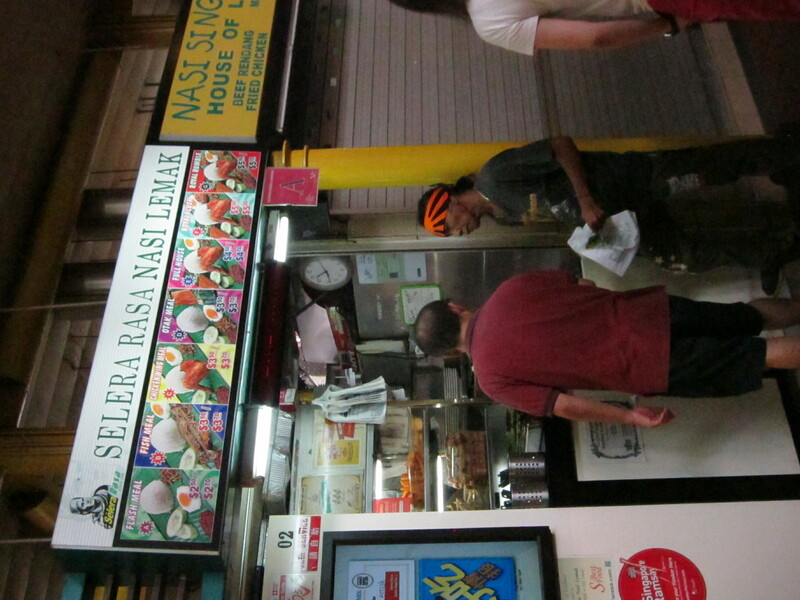 The menu is straightforward — this family-run operation sells just one dish, after all. 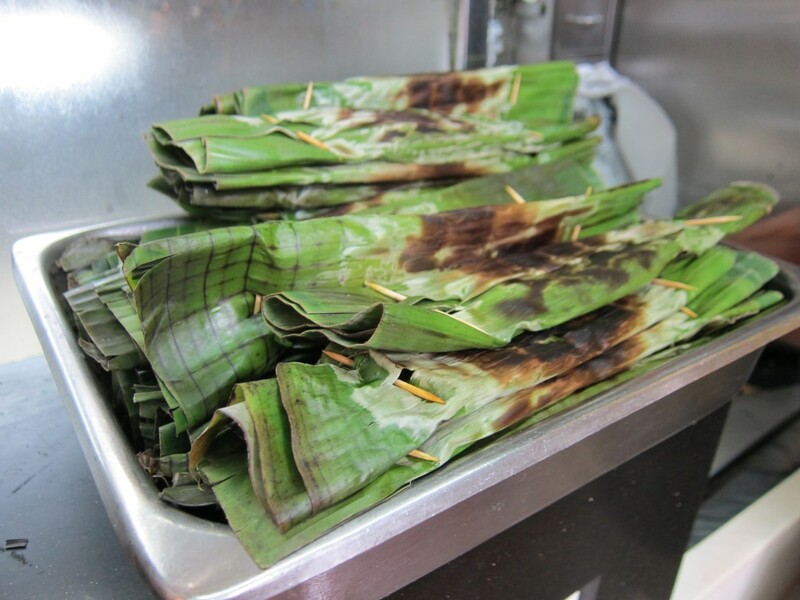 … or otak, a spicy mackerel pate that’s wrapped in banana leaves and grilled for a little char. With such long lines, there is a system — and this bandannaed man is the person in charge. As you near the head of the line, he’ll come take your order so it’s ready for you when it’s time to step up. 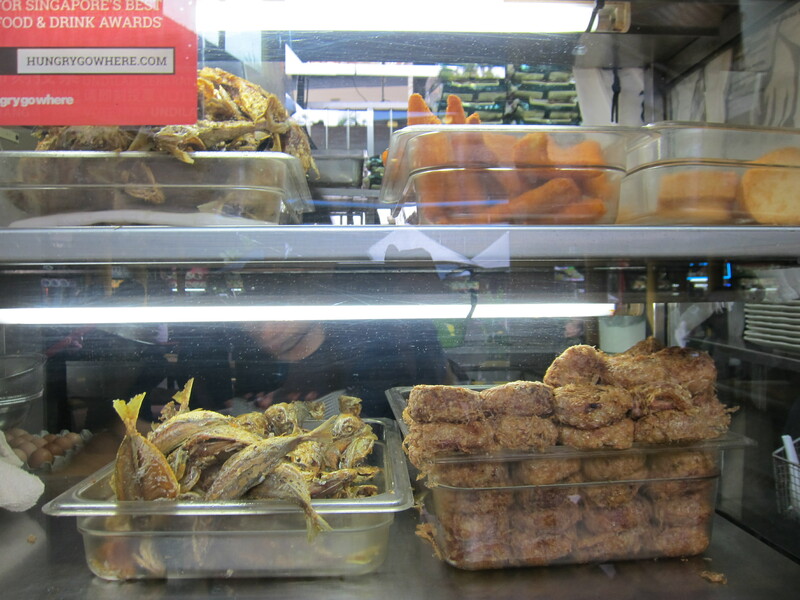 A few of the items were a little disappointing — the fried fish was not terribly crispy or flavorful (perhaps a little more turmeric, we thought) and the potato croquette also could have used a little more salt, pepper or both. And while my mother disliked the slightly “watery” taste of the otak, I didn’t mind it so much. I recognize that we do, after all, have rather high expectations of otak as my late grandmother used to make fantastic versions of it. 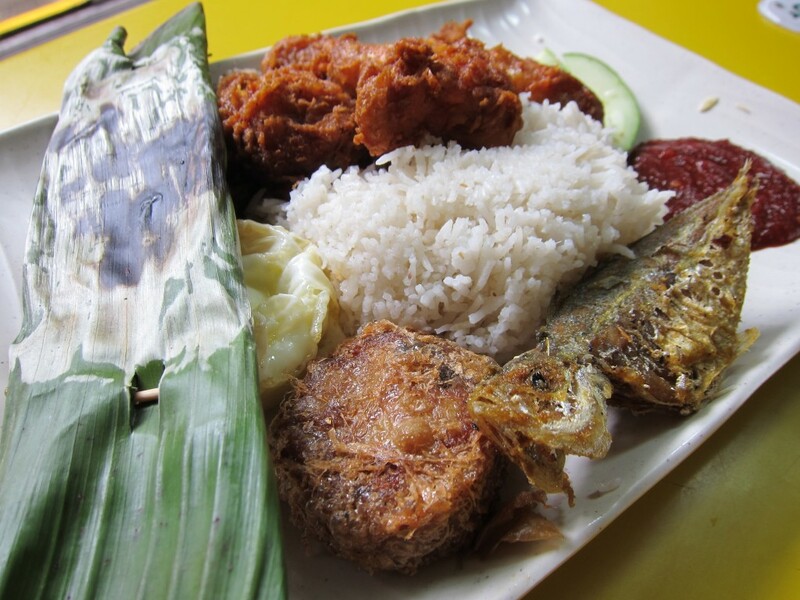 The crispy ikan bilis (cured anchovies) and egg were nicely fried, however, and the sambal chili sauce was terrific, which brings me to the chicken wings. Now these were the absolute star of the show — each wing had a beautiful crunch to it and was just packed with flavor. Whatever the combination of pepper, turmeric and ginger was in these seasonings, it was a winner. 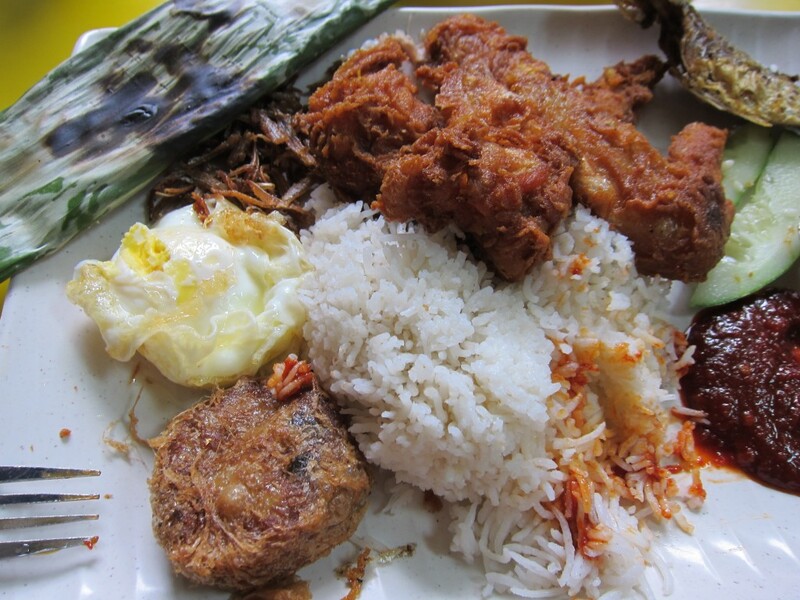 At my first bite, I regretted not ordering up a third and just having that with the egg, rice and sambal. As my mother and I picked through the plate, we weighed whether we would indeed return. The drive had been long, parking had been hard to come by and the thirty-minute wait simply was not something we were keen to take on again. 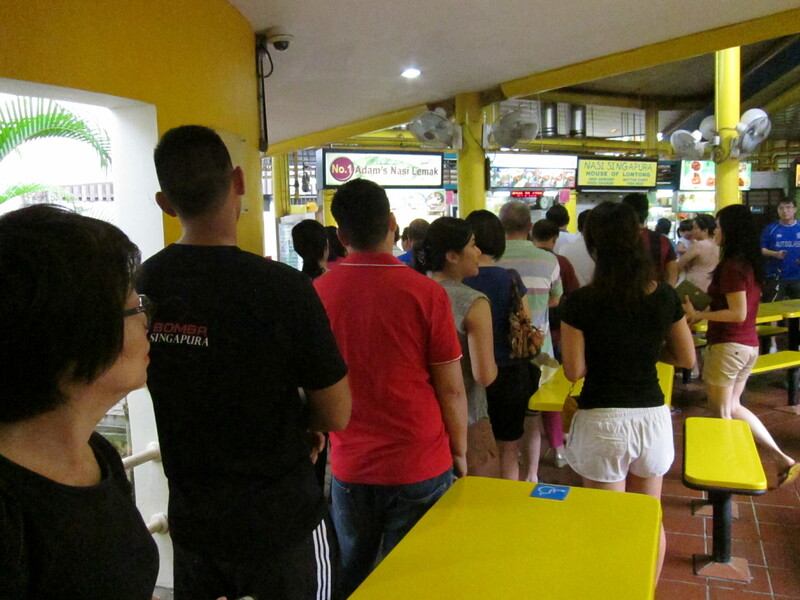 The next time I’m craving a terrific Malay fried chicken wing though, I may just get in line again.